Student life is an important part of your life. It might even be your first time leaving home. You meet new friends, broaden your horizons through studies and social life and, of course, you are shaped by newly attained experiences. But student life also puts great demands on you and you may have doubts about your choice of career and for your future. If those demands and doubts become too much for you to bear, it might feel good to confide in someone else. All of us at the University Chaplaincy are here to talk with you when you need a good listener. We don't claim we have all the answers to all of life's questions, but we might find a solution to the problem through our combined experience. We are bound by confidentiality and you are welcome regardless of belief, ethnicity and sexual identity. Call us or email us to make an appointment. You can find telephone numbers and e-mail addresses here. All pastoral care is free of charge. We meet on Tuesdays at 6.30–8.30 pm in Helga Trefaldighets Church. Singing in a choir is a great way to socialize! 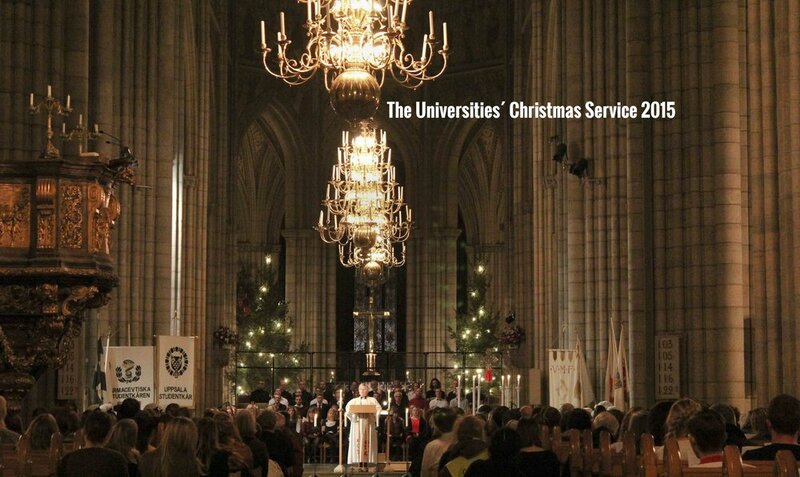 The choir, which sings mainly gospel, is open to all students. 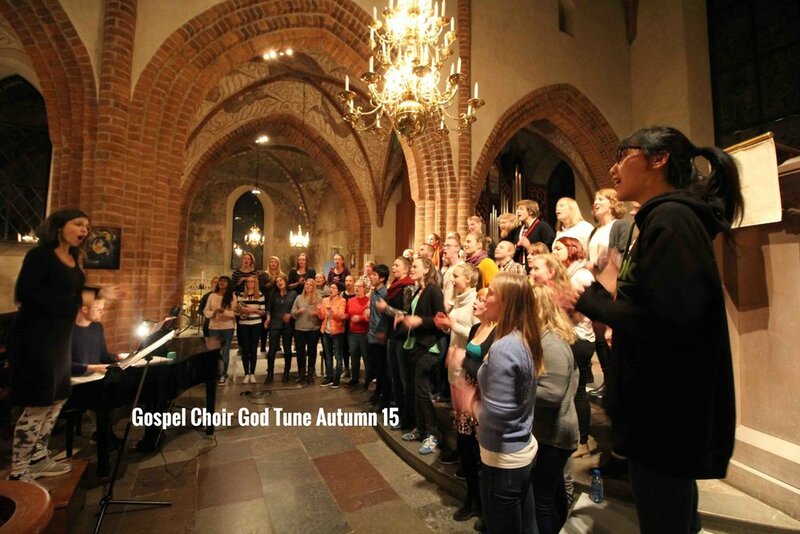 We rehearse every Tuesday between 6.30–8.30 pm in the Helga Trefaldighets Church, next to the Cathedral. If you are interested, please contact us or just show up at the next session. Welcome! There are no auditions and the choir is free of charge. Register for the choir mailing list here. God Tune and the University Chaplaincy invites you to the choirs annual Gospel concert. Shapes, expressions, and a language that everybody can understand. Music and singing, important issues, bread and wine. Everyone is welcome regardless of former church experience. Taizé prayer is a meditative service with a lot of prayer and songs. If you want to contribute by read text in any language, lighting candles or practice singing parts, please contact us. Join us for an all day pilgrimage. We will walk along some of the most beautiful parts of Upplandsleden. It´s a 13km walk and we´ll walk in a slow pace. The trail is easy walked, flat terrain, along paths and will take all day. We'll take the 09.13am train from Uppsala C towards Gävle. We'll meet at 09am on the plattform, after you have already bought your own ticket. We'll pay for the ticket back to Uppsala. It´s a 45-50 min trip. During the first half of the day we'll mostly be quite except short pauses when we will have time to reflect together. Pack food and water for the whole day. Wear good shoes, it could get wet and muddy. Also wear non-tender clothes, bring sitting pad and rainwear. 20 years after Ecce homo - what have happend? Tonights guest Elisabeth Ohlsson Wallin, photographer and artist that portrays the stories from the Bible from a queer perspective. Will be held in Swedish and translated in to English. We want to spark conversation with focus on LGBTQ-related questions and topics. Each evening will have a specific theme and a guest we have invited. Don't forget to subscribe to our newsletter for information about the upcoming activities.